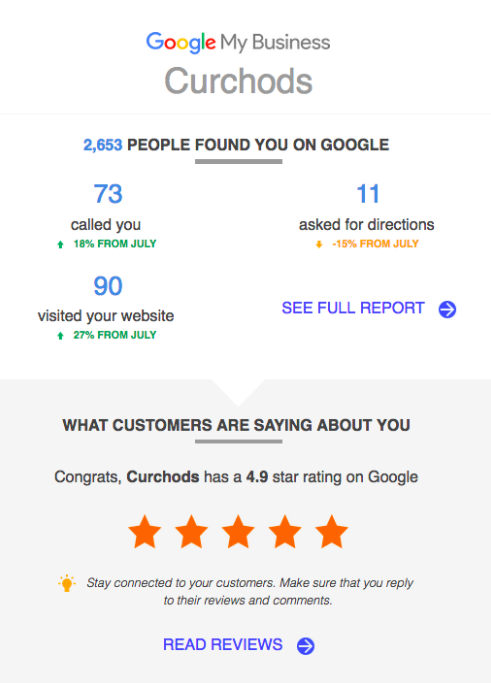 HelpHound Blog: Back to basics - is your Google score hurting your business? Back to basics - is your Google score hurting your business? ...and they are all damaging businesses. How - and, just as importantly - why? ...must be a 'bad' thing (or at least 'not such a good thing'). Must transmit the wrong message entirely. If it were an A level everyone would be happy, but this is the harsh world of business. 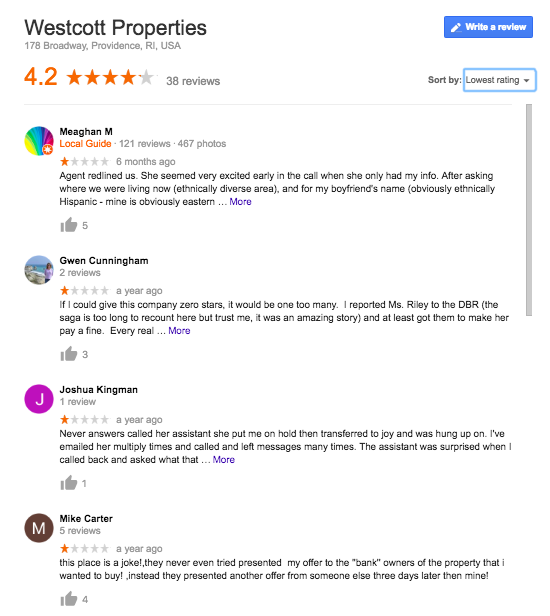 A business with just thirty Google reviews that scores 4.0 will have up to seven one and two star reviews. And these will be read by potential customers. 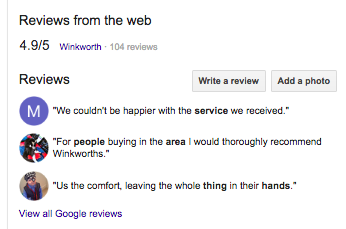 Bear in mind that all one and two star reviews say the same thing, no matter how they are worded, and that is: 'Don't use this business'. And they are read and they are believed and they are trusted. So they will deflect business. And the business will be failing the Google reviews filter. We will be blunt here: no-one who sees that a business is scoring under 4.0 - be that 3.9 or 1.6 - is going to contact that business (if you doubt this, ask yourself a simple question: "I need a plumber, would I call one where over twenty per cent of their customers said "Don't use them"'? If you have any lingering doubts replace 'plumber' with 'heart surgeon' in that question). If you have sufficient business coming in through avenues other than the web, OK. Otherwise serious remedial action is needed. Important note: if your business is scoring 4.5 or better but is achieving that by selectively inviting customers to write a review (or denying customers the opportunity to write a review unless expressly invited) you are currently in breach of one or more of the CMA's core regulations. Speak to someone here at HelpHound and we will advise you on your business's options. Are all businesses that score below 4.0 rubbish at their jobs? No, they are not. How do we know? Because we work for lots of businesses that scored well below 4.0 when they first joined HelpHound. What they did all have in common is that they had let the very small minority of their dissatisfied customers control the image they were presenting in search. How will we know that scoring 4.5 and over will result in more business? This is a HelpHound client's Google My Business report. Your business gets one every month, just wait until your Google score gets north of 4.5 - as it has in this case (see Google's 'congrats' above the stars) - and then look at the numbers in green. And finally - why use HelpHound? 1. 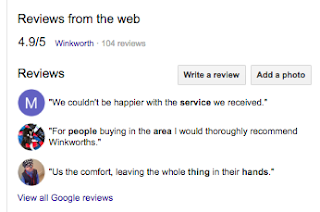 We will take the fear out of inviting reviews. 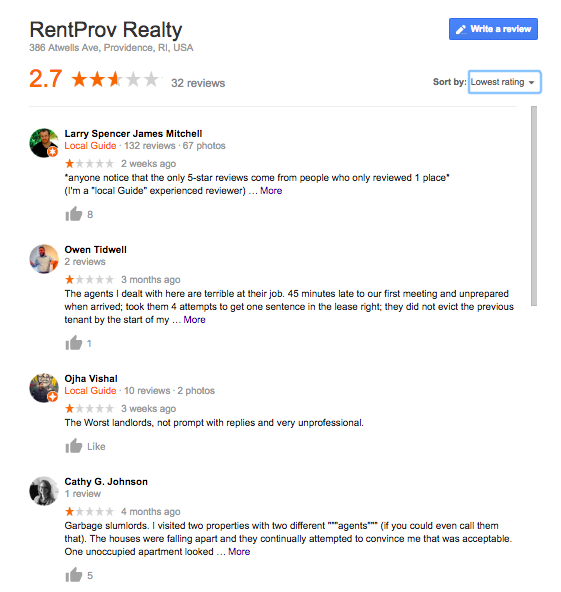 Most businesses initially shy away from inviting reviews because they are, quite sensibly, concerned that some of their customers will write inaccurate or misleading reviews. HelpHound's moderation process reduces the chances of that happening buy well over ninety per cent. 3. You will be compliant with the law. The legal authority in the UK, the Competition and Markets Authority, forbids any practice that puts consumers at a disadvantage. The core of its regulations say that any business inviting reviews must enable their customer to write a review at any time of their choosing and that all their customers must be given the opportunity to write a review. This rules out practices such as selecting customers to write reviews (known as 'cherry-picking', probably the most common contravention of the CMA regulations - for more see here). *please note: there are no 'smoke and mirrors' involved - no 'filtering' of negative reviews. If your business has existing CRM issues these will need to be addressed before you adopt a review management strategy. HelpHound cannot 'make' a business with inadequate customer care practices look good. What we can do is make a business that truly cares look great. 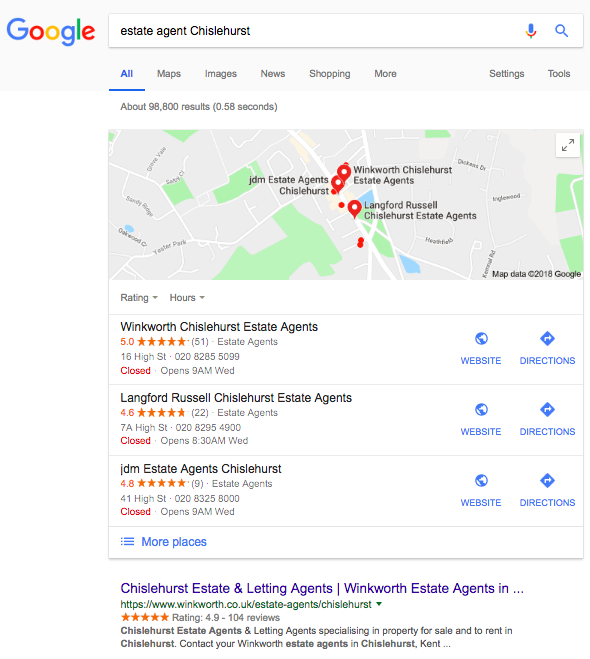 Who is right - Google or Trustpilot? Why would a business use Bark instead of Google?